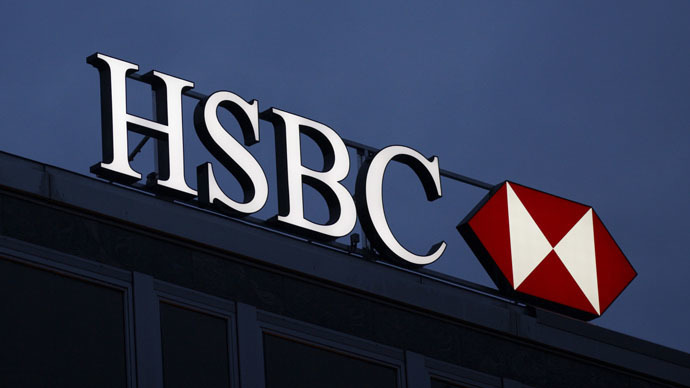 London-based HSBC is likely to face new investigations in the UK and the US, after allegations its Swiss branch was assisting sanctioned countries and drug cartels in money laundering and tax evasion. HSBC, the largest bank by assets in Europe, was forced to admit that its Swiss private banking arm dealt with the accounts of people evading tax after the data of more than 100,000 customers was leaked to the media. David Gauke, the UK’s Financial Secretary to the Treasury, said the information was passed by French authorities to the British tax authorities in 2010 “under very strict conditions,” the FT reports. Her Majesty’s Revenue and Customs (HMRC) was not allowed to provide this information to other law enforcement agencies. As a result, the authorities could not bring legal proceedings against those suspected of any illegality, Gauke said. “Under these restrictions, HMRC has not been able to seek prosecution for other potential offences, such as money laundering,” he said. However, the French authorities have confirmed they will provide all the necessary support to HMRC so that the agency could use the data in its entirety. The decision to open a criminal investigation into the HSBC case hasn’t yet been taken, according to British government sources. The Swiss branch of the bank is under the jurisdiction of Switzerland. HSBC declined to comment on the possibility of a new investigation in Britain, but assured that the bank will cooperate with all relevant bodies. The US Department of Justice, in turn, may reconsider the deal that shields HSBC from penalties for previous law breaking. In 2012 HSBC agreed to pay a settlement of $1.9 billion and concluded a deferred prosecution agreement over alleged assistance in money laundering to countries under US sanctions. The bank has refused to comment on the possibility the case will be reviewed.